Posted October 1142, 2017 by McIvor Farrell & filed under News. 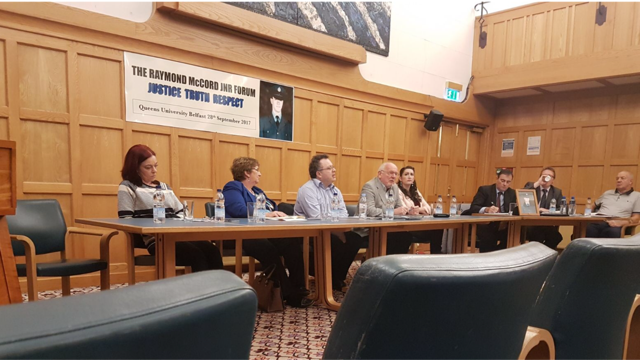 Belfast Solicitors McIvor Farrell were delighted to be involved in the inaugural Raymond McCord Jnr Forum that was convened recently at Queens University Belfast to address the lack of political progress of concern to a cross section of the community affected by the recent conflict in Northern Ireland. 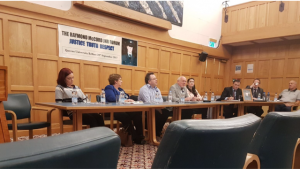 McIvor Farrell Solicitors have been appointed to prepare a report for submission to the UK and Irish Governments along with the NI Victims Commissioner in order to stimulate debate and address the current shortcomings and deficiencies in the system.